Alternative energy healing involves energy healing techniques outside standard medical treatment such as free energy healing and electromedicine. These therapies are the new frontier of healing in medicine! There is no area in medicine as controversial as essential energy healing. Conventional doctors are suspicious and skeptical about the concept of using various types of energy such as electricity, light, magnetism, and free energy healing. This is because their training is rooted in classical Newtonian physics instead of the quantum world that followed Albert Einstein. Alternative energy healing involves the application of various forms of energy to bring the body back to health. Some antiaging doctors may even base some of their energy therapies on the concept of energy chakras , which has it's origins in Eastern forms of medicine like Ayerveda. The application for antiaging is pretty obvious! It may even be possible to slow, stop, or even reverse some aspects of the aging process using energy healing techniques because they use principles that are natural to the body. Alternative energy healing may seem strange but is actually easy to explain. Energy comes in different forms, such as heat, light, electricity, magnetism, sound, ect. These are all just energy in different frequency ranges, which have healing properties for the human body. Human beings are really made up of different forms of energy and so applying the correct beneficial frequencies can bring pain relief, improve circulation, kill bacteria and viruses, reduce inflammation and speed healing. For instance it was found some years ago that bone breaks that would not heal with conventional treatment responded to a small battery induced electrical field, because electrical signaling induces bone growth and repair. Far infrared radiation the kind we get from the sun, matches the natural radiation that the human body emits. This is why getting the proper amount of sunlight is so beneficial. Distance healing is the least understood of all energy healing techniques because it can occur at great distances. 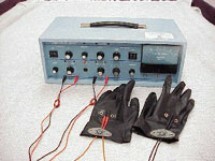 The type of energy used in this therapy is unclear and these energy healing techniques are viewed with total skepticism by most doctors. Distance or free energy healing is sometimes called radionics, or energy field healing and the principle that is usually used to explain it is called “quantum entanglement,” which means that things that are very far apart can still affect each other in some way. You would be hard pressed to find any medical practitioner who would even admit to using this technique as it would not be considered legitimate medical therapy due to it's strange and offbeat nature, and yes, I have had personal experience with this therapy, and do feel it provides a positive benefit, although there is no definitive scientific proof. Here is a short primer on these alternative energy healing techniques and why they are beneficial. I have included the ones that are most used and have the most evidence of being beneficial. Some are time tested and well accepted, while others are still not well known to conventional medicine, but gaining ground. Rife Therapy is an electrical frequency therapy that is used to kill pathogens, reduce inflammation, and address many medical conditions with sets of specific frequencies. It may be applied using electrical contact pads, LED light, or radiant plasma tube. It is NOT an approved medical therapy but many people feel it is effective and safe for a variety of conditions. FSM - Frequency Specific Microcurrent involves the application of very small amounts of electrical current to the body using contact pads. It's therapeutic effect comes from increasing ATP in tissues, reducing inflammation, increasing hydration, increasing oxygen, and removing waste products/toxins from cells. Far Infrared Therapy uses special mineral lamps which apply heat to a plate embedded with minerals which then radiates heat energy onto the patients body. In my personal experience it is a soothing and effective therapy for pain and inflammation. Ultrasound is pretty well established in medicine. It uses ultra high frequency sound to penetrate up to several inches into the body and provide deep heating which increases circulation, reduces inflammation and speeds healing. Cold laser therapy is controversial in mainstream medicine, but is used to relieve pain, reduce inflammation, and help heal infection. It uses specific frequencies of laser light and like FSM raises ATP levels in tissues. It is also used in cosmetic skin care and facial rejuvenation, and also to remove tattoos. Free energy therapy is something you will not find from a medical practitioner due to it's estoric nature. There is plenty of information on the Internet about this one, but as far as the medical profession is concerned, you are on your own. Antiaging doctors may provide one or more of these energy healing techniques depending on their training and orientation. Depending on the doctor's billing practices they may or may not offer therapies due to problems getting reimbursed by insurance. Doctors that work outside the insurance networks and are paid in cash by their patients can offer therapies which fall outside the medical mainstream. Other medical practitioners like chiropractors and naturopaths are often skilled in alternate energy healing. Many doctors will list the range of alternative energy healing they use on their website or other listing so that you will know exactly what they provide. Often antiaging clinics offer quite a range of energetic healing modalities to their patients. You may have to do some hunting to find physicians skilled in these particular energy healing techniques the results will be worth it. These therapies work with your body, avoiding toxic chemicals which have serious side effects. Alternative energy healing seems to be the wave of the future, because it can potentially replace toxic pharmaceutical medications and provide a safer and more effective alternative to surgery and drugs.